Attempting to predict the outcome of the scuffle between HD DVD and Blu-ray is a bit like trying to lick your own elbow; you feel like you should be able to do it, yet you can't actually get anywhere near it. The latest volley of activity on the bloody high-definition battlefield comes from the canons of Sony . It's launching a new Blu-ray player called the CDP-S300. It's essentially identical to the older BDP-S1, apart that it's nowhere near as massive in size and will also now play your audio CDs. Other minor enhancements include the support of Dolby Digital Plus and Sony's own wide colour gamut that - in theory - should help drive a sharper HD picture. The most interesting part of this otherwise uninspiring release is that, along with a cut-down size comes a significantly reduced retail price. It's going on sale for $600 in the United States (£310), which is half the price of other Blu-ray players on the market currently. 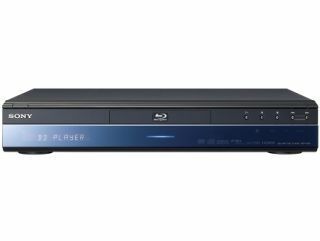 The BPD-S1 never actually launched in Europe, but more manageable production costs could mean that a Sony Blu-ray player could make it onto these shores at some point in the future. It's unlikely to be any time soon though, and the clue is in the exact US price; $600 is precisely $1 more than the cost of the American 60GB PlayStation 3, which indicates that Sony would much prefer people to go out and buy its new uber-console than just a basic Blu-ray player. So, the fact the PlayStation 3 does not even launch over here for another few weeks probably indicates that Sony is going to wait until the initial Blu-ray powered PS3 rush is over. After after that might it start flogging its specialised players here. Either way, it's a bad sign for HD DVD. Its trump card has been that cheaper production costs translate to significantly cheaper retail prices. If Blu-ray is coming down in price, HD DVD's main selling point may be about to be pulled from under it.